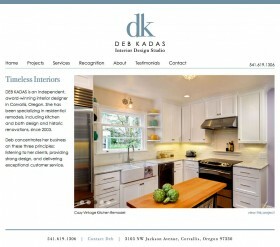 2017 update: Amy and I worked together again to update DebKadas.com to be fully responsive, adapting to visitors on tablets and mobile phones as well as full-sized desktop browsers. It’s hard to grasp the scope of a Conservation District. 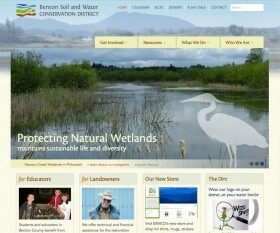 Benton SWCD provides a wealth of online information resources, from an invasive species database to a rural living guide. They assist landowners, provide educational workshops and other resources. Projects include plantings, cleanups and tours of local creeks. Their annual Native Plant Sale provides native plants at reasonable prices to local residents. Unfortunately their website had been patched together over the years and was no longer maintainable or functional. They asked Amy Williams and me to overhaul their brand and create a new website. Our first challenge was to organize all their information and offerings in a way that works for visitors. Amy did a stellar job of accommodating their desire for a beautiful, photo-rich site while keeping the navigation clean and clear. We implemented a full-featured e-commerce section for their annual plant sale. On the back end, I worked with the client to create administrative tools that enable them to easily update all their online information, including sidebar resources and plant databases. The site is fully responsive, working well on mobile phones and tablets as well as on multiple browser sizes. Coloma is best known as the site where gold was discovered in the South Fork of the American River at Sutter’s Mill—the event that triggered the 1849 California Gold Rush. The area also attracts lovers of the outdoors with its stellar whitewater rafting and miles of trails for hiking, biking and horseback riding. We originally created this website about the Coloma-Lotus area in August, 1995, and it has been serving the community and local businesses since then. 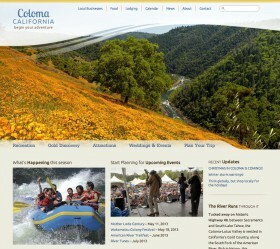 In 2012, we worked with the Coloma-Lotus Chamber of Commerce and graphic designer Amy Williams to completely overhaul the site and focus more directly on tourism. Our challenge was to showcase all of the opportunities for visitors to the area without overwhelming them with the number of choices. 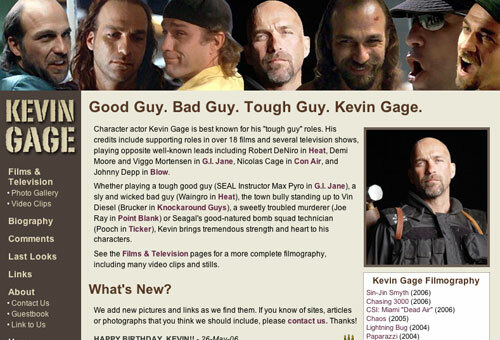 As always, we made sure that the website is easily updated so that content can be kept fresh. 2017 update: We worked with designer Jonathan Kurten to update Coloma.com to be fully responsive, adapting to visitors on tablets and mobile phones as well as full-sized desktop browsers. 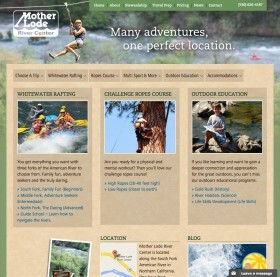 From their riverside campground, Mother Lode offers whitewater rafting trips, a Challenge Ropes Course and an Outdoor Education program. In 2014, we worked with web designer Amy Williams to completely overhaul their website. Our challenge was to showcase the breadth and depth of their offerings while keeping the site easy to navigate. The new site is fully responsive, adapting to visitors on tablets and mobile phones as well as full-sized desktop browsers. We also added online booking, live chat, photo galleries and many other custom features. We designed the admin area so that with a minimum of training, the staff can easily update virtually any piece of the website. 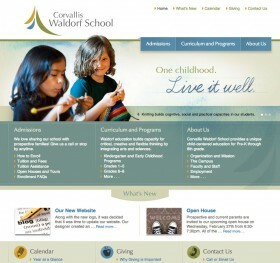 Corvallis Waldorf School is known for creativity and excellence in K-8 education. They asked Jeff Jimerson of the Madison Ave. Collective to redesign their website to meet this same level of excellence. In addition to increased usability and improved search engine optimization, they wanted a private Parent Portal, where teachers and administrators could post photos, news and other information for parents and students. Jeff acted as art director, web architect and graphics designer. Donna McMaster implemented Jeff’s vision using WordPress, and trained the faculty and staff to update the website themselves. 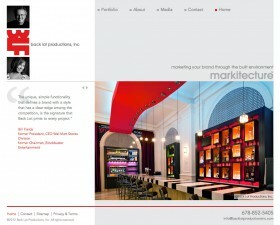 Tracey Barker and Bart Mills partner to create branding and business architecture, which they term “Markitecture.” Their clients include Hotel Indigo, Super 8, Schlotzsky’s Deli, and other name-brand companies in the hospitality and retail industries. We worked with graphic designer Amy Williams to develop a site that met their requirements for a clean, simple site design that enables the Back Lot Productions work — and their clients’ testimonials — speak for themselves. We implemented a built-in reader for articles featuring their work, and unique style touches like the custom galleries and navigation, and color highlights changing on each page to match the projects. The North, South and Middle Forks of the American River have helped shape America’s history. The South Fork is the site of California’s first gold discovery, and all three forks offer whitewater excitement, fishing, swimming, and other recreation. 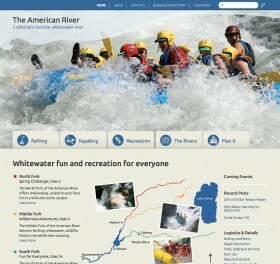 In 2012, we worked with the Coloma-Lotus Chamber of Commerce and graphic designer Amy Williams to completely redesign the website to focus more directly on whitewater rafting and recreational tourism. Our challenges were to reflect the fun and excitement of the recreational opportunities, and organize the wealth of information on the site for quick and easy access.